For the next 48 hours going to see as much of Oslo as humanly possible. 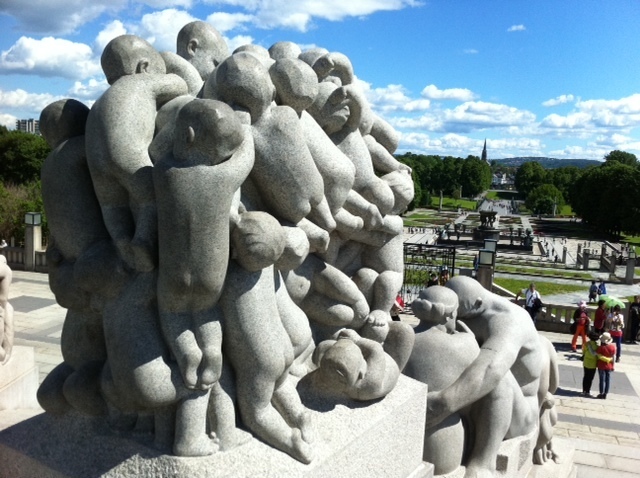 Oslo is the Viking capital, Oslo is Edward Munch and Henrik Ibsen, Oslo is where the Nobel Prize is awarded, and Oslo is home to the Norwegian National Opera. Have seen the Opera House looking forward to seeing more. 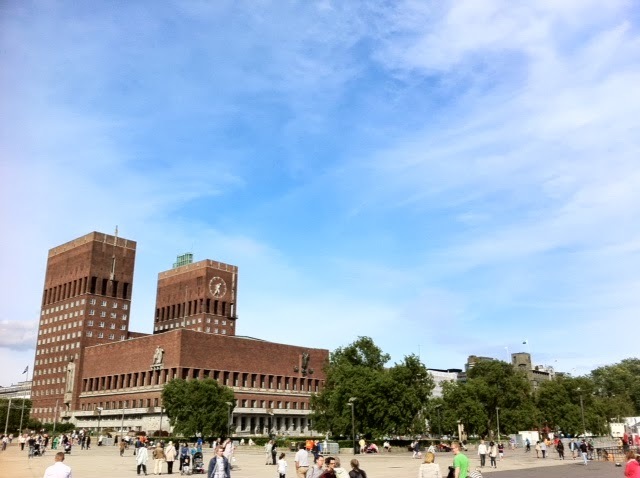 Oslo City Hall opened in 1950. Decorated with motifs from Norwegian history and cultures. Today the city's political and administrative leadership is still based here. 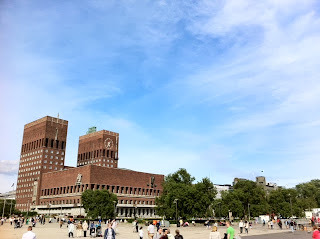 On the 10th of December each year the Nobel Peace Prize is awarded here. The roof of the Eastern tower has a 49 - bell carillon which plays every hour. We could hear the sound from our hotel. 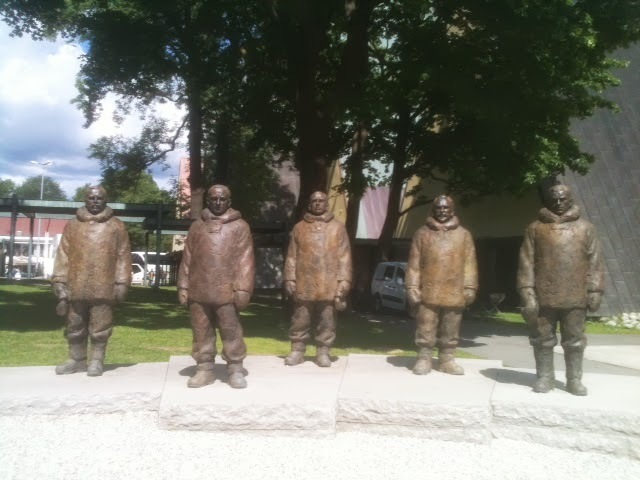 After the Fram Museum we walked across to the Norwegian Maritime Museum which gives one insight to Norway as a coastal and maritime nation. The exhibition "Skipet/The Ship" shows more than 2000 years of development from Norway's oldest craft to Orcelle, the ship of the future. I really enjoyed the film of different seaside cities and towns and maritime industries. So visually spectacular. A must see for all visitors. 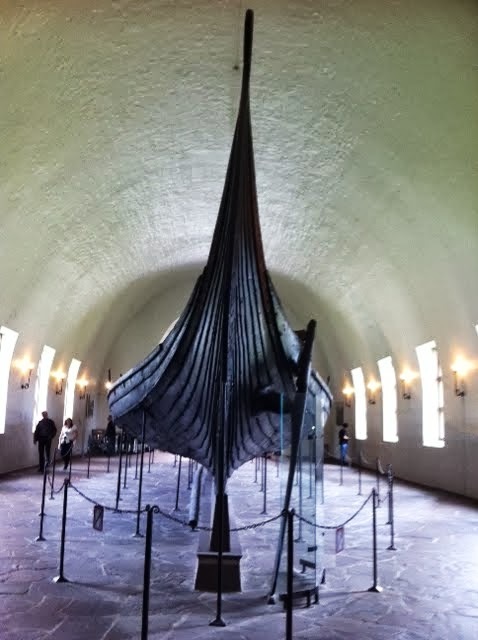 Having done the Opera House, City Hall, the Fram Museum, the Kon-Tiki Museum, the Maritime Museum and the Viking Ship Museum, I'm ready for a short stroll down the hill to the Museum of Cultural History. Did you know? 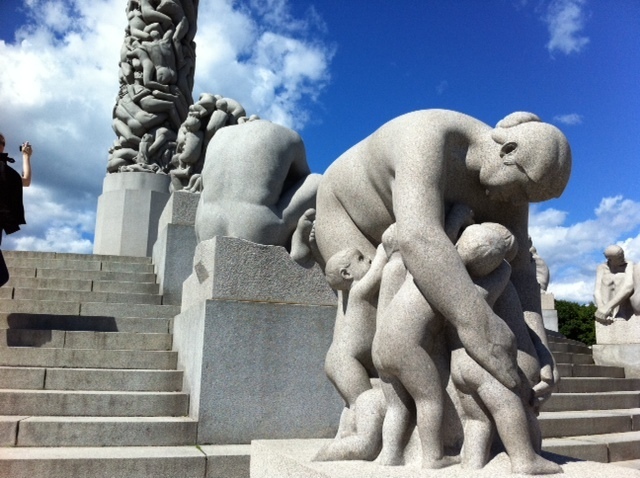 That Oslo is one of the oldest capitals in Europe? It is believed to have been originally settled in Viking times. Excavations have exposed the remains of a settlement from around 1000AD. The Viking settlement was located in Bjorvika where the Opera House stands today. The Viking Ship Museum, Museum of Cultural History, University of Oslo has on display the best preserved Viking Ships ever found. These ships were found in three royal burial minds by the Oslo Fjord. The ships were buried more than 1100 years ago to carry their royal owners to 'the other side'. 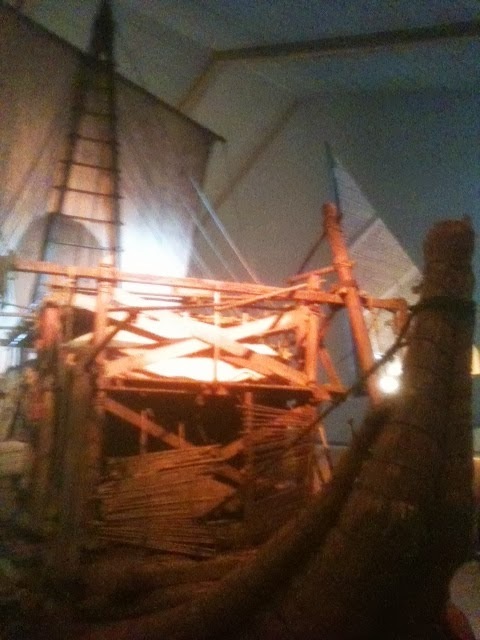 The Fram - with its unique design, is the most famous ship in polar history, known for its amazing expeditions to both the North and South Poles. You are able to step aboard and see how the crew (with their dogs) endured years of sailing through storms, treacherous waters and the freeeeeezing cold. Amazing insight into the life of these sailors and scientists. 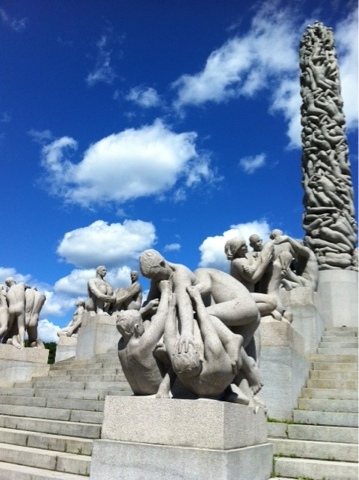 A must see if you're ever in Oslo. 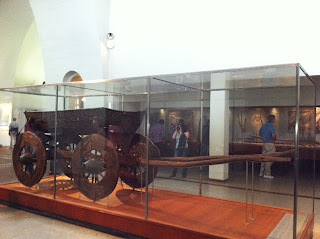 The Vikingskipshuet (The Viking Ship Museum) also has on display unique finds from Oseberg and Gokstad, sledges, textiles, kitchen utensils and the only carriage form the Viking age ever to be found. 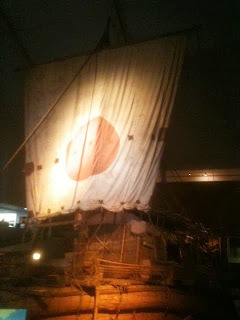 Thor Heyerdahl (1914 - 2000) gain worldwide recognition when he crossed the Pacific Ocean on this, the Balsaraft Kon-Tiki in 1947. The film about his expedition won an Oscar in 1951. It's screened at the museum at noon everyday. 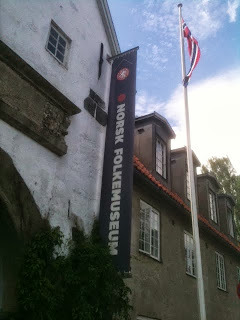 But as I am trying to do at least three museums a day, I think I will have to hire it. The Balsaraft Kon Tiki 1947 - I have got myself an Oslo Pass for the next 48 hours. 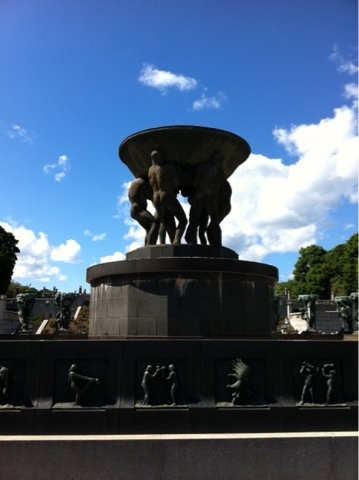 I'm planning on doing at least three museums a day in our last couple of days in downtown Oslo. This is not the best photo but here is they original Kon-Tiki. 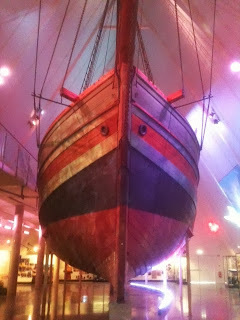 The Frammuseeet (The Polar Ship Museum) - at the Fram you can journey to the North and South Pole. Amazing stories from the Arctic and Antarctica. 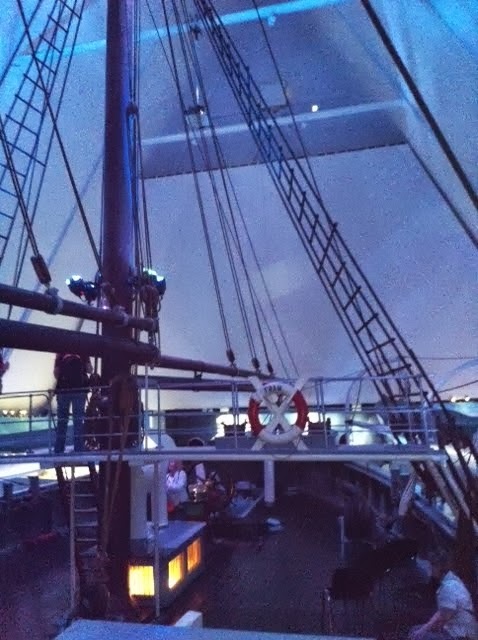 To be sitting on the Fram surrounded by Northern Lights show, how incredible it would be to see in real life. 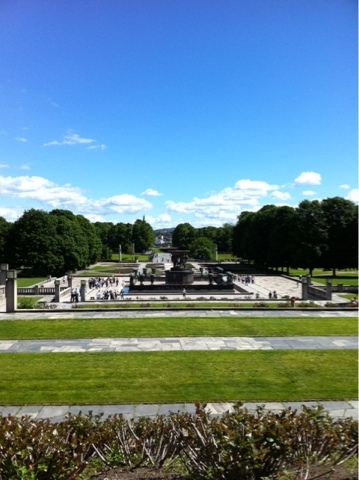 It was a magnificant summer afternoon in Oslo to be out and about. Caught first subway, heading to Sculpture Park with a packed lunch. Locals all out enjoying a summer's day throwing a frizzbie, riding bikes, kicking a ball, sunbaking, or just lazing in the sun. It's about 9:30pm and we were walking back from dinner when we saw this rainbow in the sky. The light is it was amazing. Time to retire for the evening. Hoping to do Sculpture Park tomorrow. Little summer houses on the water and main houses (colours match) up on the hill. Transport by boat, or across the ice in winter. Now these are homes with a view. A just magnificent afternoon on the water, the Southern end of the Fjords. Just magic! How would you like to call this home? A bit chilly in the winter you would think. Changing of the Royal Guard. Palace is undergoing renovations at the front so we could only walk around the back. We passed the Opera House, idyllic bays and through a maze of islands, some privately owned. We are starting at Radhusbrygge 3 (Pier 3) for our 2 hour classic Oslo Fjord sightseeing. 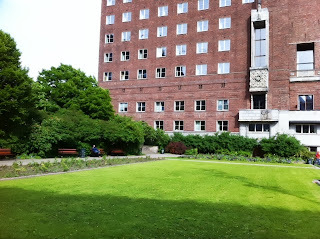 For our stay here in Oslo we are on the fourth floor of this magnificent building in the middle of downtown. From our room with a view we look out over Parliament House and down towards the Harbour. Now that we have our bearings. Enjoyed a light supper at the Grand Cafe, asparagus and breaded scollops, with warm bread. Time to retire for the evening. We are staying in the charming Best Western on Karl Johan Gate. The staff here have been welcoming, extremely helpful and entertaining. We are in a great location between Parliament House and the Palace. A short stroll down to the Harbour..... That's where we are heading now to go on cruise Oslo Fjord. On advice from local we are going to catch the local train to central. As we already did the fast, express train when we first arrived (see photo). Let's see how we go? Indigenous delegates on the plane after an exciting, hard working week, all looking a bit tired. But all in good spirits after a very productive week. Most delegates are now on way home, a long haul. We are lucky enough to be only going to Oslo today for 5 days of relaxing and sightseeing. Steep learning curve as a first time observer to the Global Indigenous Preparatory Conference. A day of new learnings, Pacific Region Caucus meetings and the processes of reporting and drafting. An exciting opportunity. The Sami Parliament of Norway is hosting 800 Indigenous Delegates from all over the world for the Global Indigenous Preparatory Conference for the UN high level plenary meeting known as the World Conference on Indigenous Peoples. The Alta Conference is organized in cooperation with the Global Indigenous Coordination Group (GCG) for the World Conference. Children and young people from 7 Indigenous regions were invited to submit a picture of their dream lodge. See my detailed post about this at The Critical Classroom in the morning. A quick pic of the Australian delegation hard at work under the watchful eye of observers sitting up the back. Lots of interesting new learnings. We are here for the Global Indigenous Preparatory Conference for World Conference on Indigenous Peoples 2014. You can follow their Facebook page, they're updating it a few times each day. Am hoping to write a few posts for The Critical Classroom. Stay tuned.